If you have some old cassette tapes lying around, it’s a good idea to digitize and back them up before they decide to show their age and stop working. In this guide, we’ll show how to convert your old collections to digital files, and the best practices for doing so. The media – You’ll obviously need a cassette or some variation (micro cassette, etc). There are definitely some albums in circulation that were only ever released on cassettes, but, when possible, ripping a CD is going to produce far better results. If you need to rip an old cassette from an answering machine or handheld recorder, this is the ideal guide for you. Keep in mind that the more you play a tape, the more its signal is degraded. Tapes are especially susceptible to heat, dirt, and magnetism, so get them converted while you can. Ideally, you’ll want to use a high-quality tape deck. Those things are hard to come by nowadays, so you may have to settle for just about any cassette player you can get your hands on. Since they’re rarely produced now, you may find an old one that has seen better days. Just make sure that it doesn’t have any playback problems before you begin. To test, make sure that there is no media currently in the player, plug in some head phones, and press play. Listen for static or other strange sounds – every sound that the player makes in this process will be recorded into your digital file. As long as you hear minimal noise (the less, the better), it should work fine. An appropriate sound card – You don’t need anything fancy, you just need to have a microphone jack on your computer. An environment free from electrical noise – Recording cassettes is an analog process, so any interference from nearby electronics is picked up and recorded as audio. 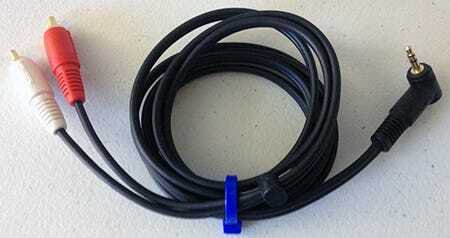 Popping sounds and static are common in recordings that were done with their audio cable near power or RF sources. 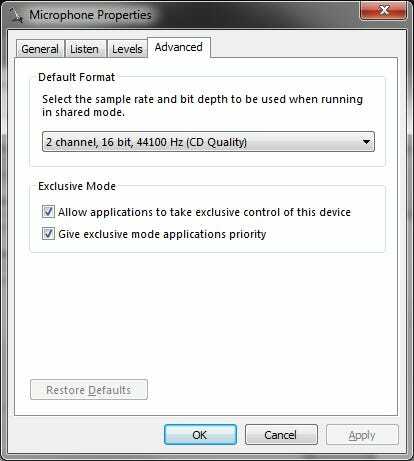 To test the amount of noise your environment is producing, make sure there is no tape in your player, plug it into your computer, and start recording. Listen for sounds other than the normal humming that playing a tape always produces to assess whether or not your other electronics are causing interference. 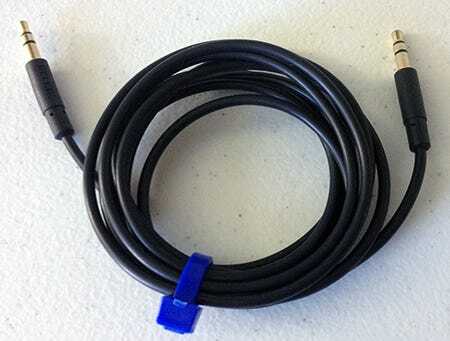 For line out, use a cable with two RCA jacks on one end and a 3.5mm headphone jack on the other. If you’re using a device that only has a 3.5mm headphone jack, use a cable with the 3.5mm plug on both ends. With those settings configured, you can go ahead and press record. Right after that, hit the play button on your tape player. Now, you must wait for the duration of your tape. If you accidentally go a bit over without pressing stop, it’s no big deal because we can cut out the excess later. After your tape is done playing, hit the stop button and we’ll begin to process the recording. 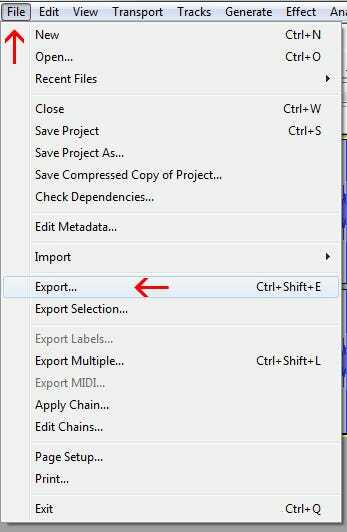 You will undoubtedly have at least a couple seconds of excess noise at the beginning and end of your recording, so highlight that section (just drag your cursor across that area) and hit delete. In the screenshot above, you can see we have a little more than a second of unnecessary noise (the time it took for us to hit play on the tape deck after we hit record in Audacity). The darker gray area is what we’ve highlighted and plan to delete. Repeat this process for the end of your recording until you’ve gotten rid of all the excess noise. After you’ve trimmed the excess and ensured that you got a quality recording (just hit play to hear what you’ve got), you can save the data into an audio file, such as MP3. Just go to File > Export to be presented with all the formats that you can save your data in. 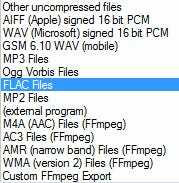 To compress your file into a reasonable size but still retain the maximum quality, select FLAC. For maximum compatibility and more compression, while still retaining a very reasonable amount of quality, select MP3. 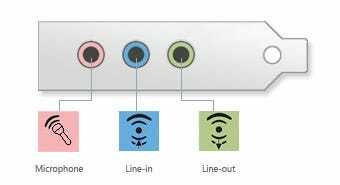 For a full rundown on the differences between these file types, we’ve written a guide that covers all the different kinds of audio formats. Once your data is exported, you can play back your file anytime you want in your favorite media player (or on your phone, etc).